The Scott Frost era has begun, and it hasn't gone the way anyone would have hoped. 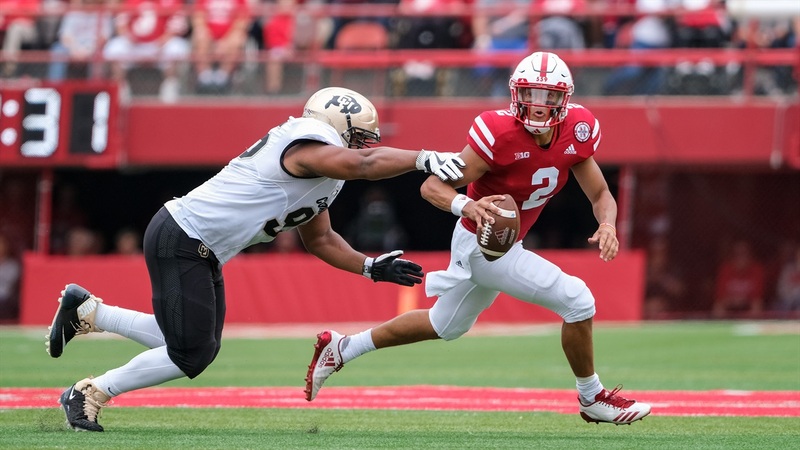 Nebraska (0-1) lost a heartbreaker against Colorado (2-0) on Saturday 33-28 that saw three missed kicks in the fourth quarter, a knee injury to true freshman starting quarterback Adrian Martinez and a drive-prolonging Nebraska penalty before it was all said and done. Barret Pickering, another true freshman starting for the Huskers, missed his first career attempt — a 43-yarder — to begin the fourth quarter. It would have stretched a 28-27 lead to four. He missed it right. Colorado's kicker, 31-year-old sophomore James Stefanou, then missed a field goal of his own, hooking left a kick that would have given the Buffs a 30-28 lead. Then he did it again with just under 5 minutes remaining in the game following a Martinez interception. Nebraska took back over with 4:49 left on the clock, up one, hoping to bleed the clock. On a second-and-5, Martinez took a designed run up the middle and had his right knee rolled over on. He stayed down on the field as Nebraska trainers looked over his knee. He left the field with help, unable to put much weight on his right leg. Sophomore walk-on Andrew Bunch replaced him and the drive stalled. Colorado took back possession and the game fell to the defense. It seemed more than appropriate that a series marked by so many close calls and pressure-packed kicks would come down to a field goal. Colorado just needed three points to spoil Frost's homecoming. A personal foul penalty on Antonio Reed on an incomplete third-and-24 pass gave the Buffs a first down. Quarterback Steven Montez connected with wideout Lavis Shenault Jr. on the very next play for a 40-yard go-ahead touchdown. Bunch stayed on for Martinez on the Huskers' final drive. The Huskers reached as deep as the Colorado 20-yard-line but couldn't find the endzone. A fourth-and-10 prayer to the endzone fell unanswered. Mistakes plagued the Huskers all day. They opened sloppily — penalties on special teams, two fumbles on the team's first two offensive possessions — and Colorado made them pay. The Buffs went up 14-0 and Memorial Stadium got the kind of uneasy feeling that was all too prevalent in 2017. Nebraska finished with three turnovers and 11 penalties that cost the team 95 yards. Wide receiver Stanley Morgan Jr. dropped a touchdown pass in the third quarter and wideout JD Spielman dropped what would have been a first-down catch on third-and-long in the fourth quarter. The Huskers face Troy next Saturday, Sept. 15, at 11 a.m. CT.